Ok fans, this one is really easy. It might surprise you to think about doing a roast in your crock pot, but again– anything that can be cooked in the oven, can be cooked in the crock pot. I started this roast while I drank my breakfast coffee and it was done by lunchtime. Dinner tonight is going to be a breeze. (I should note that my crockpot cooks quickly, even on low. You will want to use a meat thermometer to determine when your roast is cooked through. 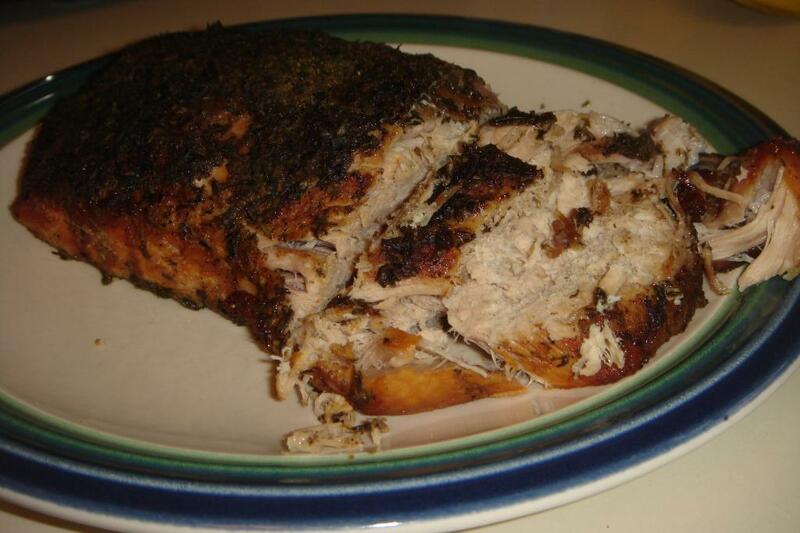 Pork is done when the internal temperature of the meat reached 160 degrees). I like that the dry rub on this roast is simple and you can vary up the flavor and switch out other seasonings, if you prefer. I think that the brown sugar really complements the flavor of the pork, but if you’d rather cut down on the sweetness or calories, you can use other seasonings and leave out some of the brown sugar. Enjoy this roast from your crockpot and savor the flavors. Add a couple side dishes and you’ll have a complete meal for dinner tonight or even entertaining. Enjoy! Rinse roast and pat dry, then place in crock pot on metal trivet (this lets the juices run without letting the meat sit in the juice). Mix all seasonings and brown sugar in a separate bowl and place mix on the meat, patting down with your fingers until mixture is evenly distributed. Add 1/2 c. water to crock pot, but do not pour it on top of meat. Cook on low for 4-6 hours.